Busy lives require a backpack that can go the distance and adapt to what each day brings. 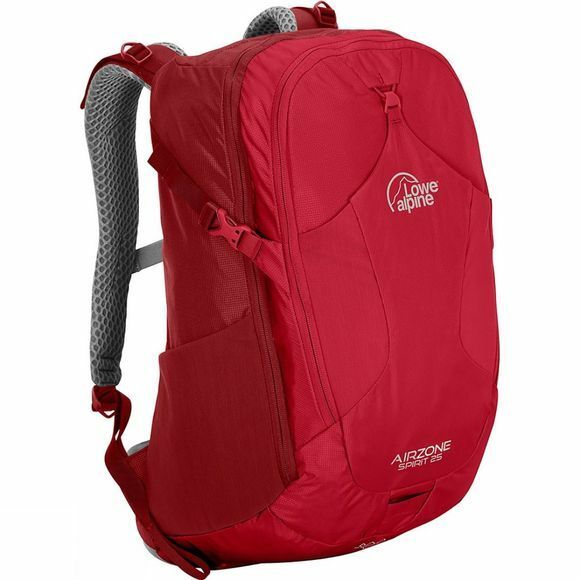 The AirZone Spirit 25 Rucksack is designed exactly to do that. If your typical day involves a fair bit of rushing around, be it cycling or commuting, then you need to look no further than a AirZone back system for the ultimate in breathable, carrying comfort. The suspended mesh keeps contact to a minimum and allows the air to circulate, while enjoying the AdaptiveFit harness means you get maximum shoulder carrying comfort and ventilation – a winner all round. Practicality is not ignored either, with a range of pockets, both external and internal to safely store your gear, including a tablet sleeve and side compression straps to pull it all together to make it one slick, just the ticket, multi-use backpack.